Thousands of volunteers all over Iran are helping to eliminate homelessness through a group called Payane Kartonkhabi, ending homelessness, or more literally, ‘ending sleeping in cardboard boxes’. The group not only distributes food among the homeless but also installs fridges on the street so that the neighbours can leave homemade meals for those in need. Payane Kartonkhabi is active in more than 20 cities including Tabriz, Isfahan, Kermanshah, Arak, and Shiraz, thanks to Instagram, Facebook and mostly Telegram. In Tehran, some shops have reportedly put out refrigerators and invited people to leave food they do not want for homeless people to take. At least one bakery has put out a box of bread for those who cannot afford it. “Bread is free for those who can’t pay,” reads a sign on the box. A combination of the “wall of kindness” with this initiative has lead to build cottage-like frames with not only a fridge in it but also a closet where people can put their spare clothes. Some even have bookshelves for books donations and others have cabinets where kids can leave their extra toys for others. This bakery has put out a box of bread for those who cannot afford it. “Bread is free for those who can’t pay,” reads the sign on the box. Ali Heidari, an advertising manager in Tehran, told The Guardian about the tragedy he saw when he delivered meals to the homeless living in Harandi, a neighborhood in south Tehran, with his wife and son in May 2015. After going to friends and relatives, he used social media to ask for help. On a Wednesday in July, the first group of volunteers went to south Tehran and distributed food. This is now regular. Every Wednesday, at 10pm, volunteers take thousands of food portions to Shoush neighbourhood. “Our record is 5,000 meals in one night,” says Heidari. The installing of fridges began in October. The idea is simple: those who can afford it will put food in the fridge, and anyone who’s hungry, be it a homeless person or a neighbour, can open the fridge and take something to eat. In addition to that, the group also helps fight addiction among the homeless, taking an approach different from the official organisations. Payane Kartonkhoabi’s goal is to put an end to homelessness in Iran. It holds training workshops for those who are drug-free and tries to find jobs for them. This entry was posted in People & Society and tagged Charity, Iran, People, Photos on February 14, 2016 by socialinform. Walls typically create divisions. But not always. With the addition of a few hooks and a splash of paint, walls across Iran are being reinvented as part of an outdoor charity initiative in which strangers leave goods they no longer want for those who need them. The message above a row of hooks reads “Wall of Kindness”. It is a place where passersby are invited to “leave what you do not need” or “take it if you need”. Similar messages have turned up throughout the country as Iranians take matters into their own hands to help homeless people. It is not clear who started the trend, but in a country where use of social media networks is widespread, it has swiftly caught on. In Tehran, some shops have reportedly put out refrigerators and invited people to leave food they do not want for homeless people to take. At least one bakery has put out a box of bread for those who cannot afford it. “Bread is free for those who can’t pay,” reads a sign on the box. Civil society in Iran is strong, and a number of non-governmental charities have had a significant impact recently, including the Mahak society, a Tehran-based organisation founded by the philanthropist Saeedeh Ghods that supports children with cancer. Some charitable organisations have been hampered by sanctions imposed on Iran. One unintended consequence was that imports of life-saving medicine were made difficult as international banks refused to handle any money associated with the country. With sanctions relief, there are rising hopes that such charities will once again be able to work as normal. This entry was posted in People & Society and tagged Charity, Iran, People, Photos on February 6, 2016 by socialinform. This entry was posted in Culture, music and arts and tagged Afghanistan, Art, Charity, Culture, People on October 20, 2014 by socialinform. Iranian artists contribute to the efforts of the United Nations food agency to take on global hunger. Up to 100 Iranian artists are to sell their works at a charity event at Niavaran Cultural Center on Friday (October 17, 2014) to help the World Food Programme (WFP) with its efforts to ease global hunger, Khabaronline quoted Negar Gerami of the WFP as telling a news conference in Tehran. She went on to say that Iran is not among countries that grapple with hunger, but that does not mean we can be indifferent to this global problem. This entry was posted in Culture, music and arts and tagged Art, Charity on October 15, 2014 by socialinform. 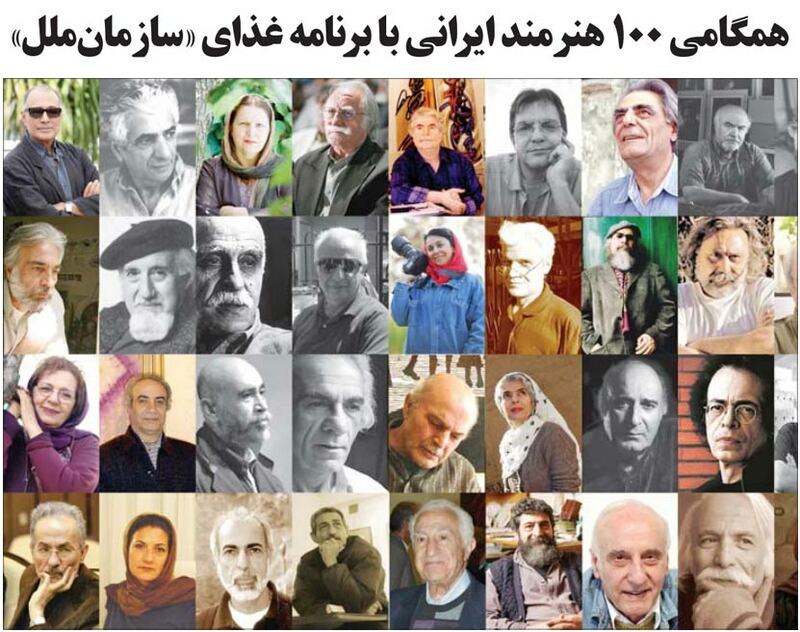 100 prominent Iranian artists have donated artworks to support the United Nations World Food Programme in its fight against hunger. The collection will be exhibited on World Food Day in October 2014 and will be displayed for a week before being sold to raise funds for WFP activities in Iran. Parviz Tanavoli, Abbas Kiarostami, Jalil Rasouli, Maryam Zandi, Parviz Kalantari, and Gizella Varga Sinai are among the many famous masters who support WFP. Shargh Newspaper published an article and interview with Negar Gerami, WFP Representative and Shokoufeh Malekkiani, the curator about this initiative in their Jun 11, 2014 issue. Click here to read the interview in Persian. This entry was posted in Personalities and tagged Charity, Photos on July 7, 2014 by socialinform. Professor Parvaneh Vosough was born in 1935 in Tafresh, central Iran. 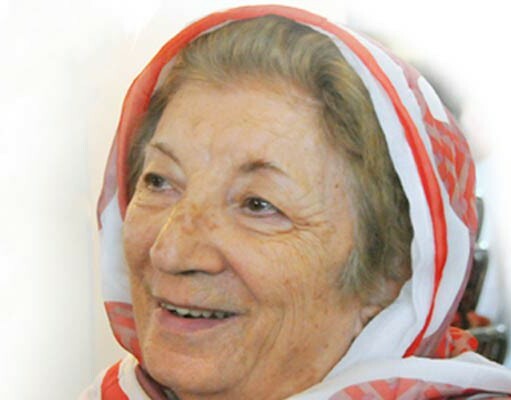 She received her MD in general medicine in 1963 in Tehran University of Medical Science. She completed her specialty and sub-specialty in Cambridge, Massachusetts, and Illinois Universities, and she attended Washington University for her graduate course. In 1971 she returned to Iran and practiced her profession in Ali Asghar Hospital in Tehran. Her colleagues say that many times, she had been proposed residence of US and European countries for research and lucrative income, but that she had chosen providing free service to her country’s cancer-suffering children. In the course of her medical services, Professor Vosough treated many cancer-suffering children around the world, giving them health, and she had never married. Perhaps for this reason, she was called ‘Iran’s Mother Theresa’ by some people. This entry was posted in People & Society, Personalities, Science, Women and tagged Charity, Iran, Personalities, Science, women on December 6, 2013 by socialinform. This entry was posted in People & Society and tagged Afghanistan, Charity, Top-Posts on November 8, 2013 by socialinform.